Months ago, I posted a tutorial on how to create an iTunes Store account without a credit card. That post helped a lot of people who are new to iOS and Apple devices. Though that may sound like an awesome account, the issue with having it is the fact that you only get to download free apps on the store. That may be a limitation that is okay for some. But, some users (like me) would still want to download paid apps even without a credit card. There are a number of solutions for this. 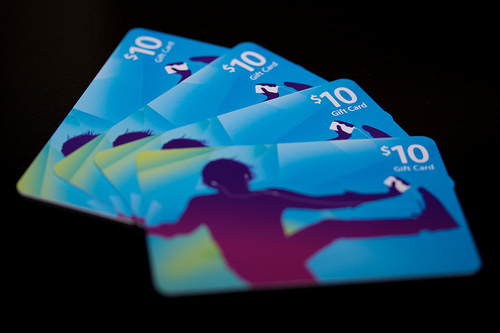 However, the most common solution would have to be to purchase a US iTunes Gift Card. The US iTunes Gift Cards come with a code that you can redeem at the App Store or iTunes Store so you will have the corresponding credit to purchase apps and media. These cards can be bought online or in any Apple store. However, for the benefit of my readers who are not from the US and want a convenient way to purchase these cards online, I suggest you check out TunesBud. They have every iTunes gift card available online and you can pay them via PayPal (the most convenient and most preferred payment online). That sounds pretty convenient right? They only charge a small percent to keep their service up and running. But, I can guarantee you that they deliver well. The code will then be emailed to you as soon as the payment is confirmed. Once you have the code, you can redeem it on your US iTunes Store account. You will then have the credits you need to buy those paid apps that you want. Enjoy your paid apps and happy downloading! If this post helped you or if you have questions, just leave them out on the comments section below.